Scuba diving in San Diego is very popular with many exciting places to dive in San Diego and La Jolla California. One of the best locations is inside the San Diego-La Jolla Underwater Park. 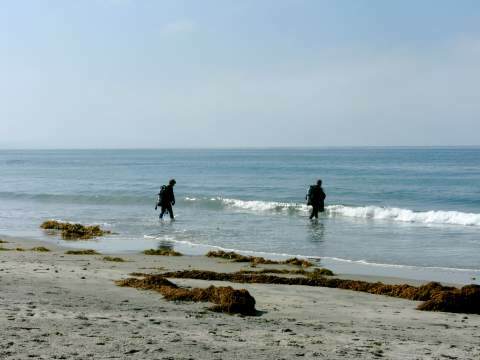 It is also popular at Point Loma, Wreck Alley, and in north San Diego county at the Encinitas Marine Life Refuge. San Diego and La Jolla have active scuba diving communities, so why not try a new adventure? We can even suggest the best place to get certified to be a NAUI certified scuba diver. 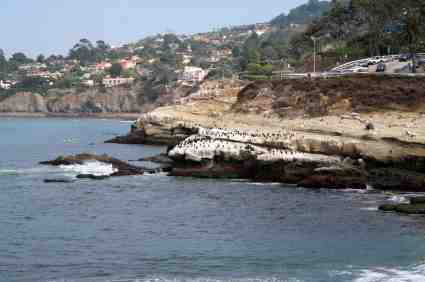 Visibility is typically 15 - 20 feet in La Jolla, the most popular area for San Diego scuba diving. The San Diego La Jolla Underwater Park has thick kelp forests, calm and clear waters, and abundant sea life. The Leopard Sharks are famous here in the summer, and sometimes the seals will join in the fun. There are local dive shops for renting scuba gear. 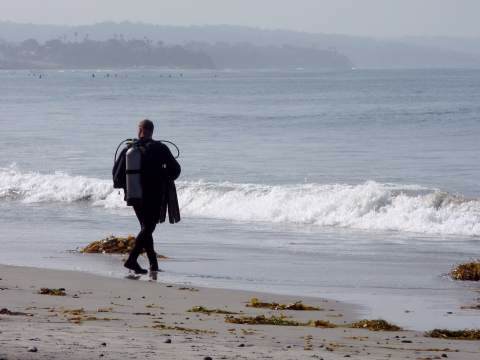 Advanced divers can explore other sites, including the La Jolla Submarine Canyon and Scripps Canyon. These are some of the most-studies undersea environments in the world, close to the world-famous Scripps Institute of Oceanography and Scripps Pier. The waters off Point Loma in San Diego Cal. offer an abundant undersea life to explore. Scuba dive boat operators who can take you to offshore dives, as most of the Point Loma dives will be from a boat. You can take a San Diego dive tour to the Kelp Beds or Ancient Sea Cliffs. Advanced divers will enjoy Wreck Alley, about a mile off Mission Beach. Here are artificial reefs created by sunken ships and other structures, including the Canadian destroyer Yukon, Rube E Coast Guard cutter, kelp cutter Del Ray, Ingraham Strret bridge, and more. Charter boats from Mission Bay will take you there. Most of these are 70 - 100 feet down so advanced certification is required.